Editor's Note: This corrects a previous version of this story related to the annual amount governments can automatically add to property tax bills. If a May 15 local option levy doesn't pass, the city will be making deep cuts into police, library, park and other services, cutting $2.5 million in the upcoming fiscal year. That was the sobering message City Manager Marty Wine delivered Monday night during a city Budget Committee meeting where she laid out the fiscal forecast for 2018-19. And it won't get any better the following year. Wine told the committee, consisting of the Tigard City Council and an equal number of citizen appointees, that the revenues have been growing more slowly than the city's spending, and although the city has tried to curb costs and increase revenue, it's not enough. "This proposes over $2.5 million in reductions in 2018-19, and a similar amount of reductions in the 2019-20 (budget)," Wine wrote in her budget message. "In developing this budget proposal, all general fund services will experience cuts to preserve the city's core functions." Next month, the city is asking voters if they will pass a local levy measure that would provide money earmarked for improvements to the city's police department (with a goal of reducing police response times), park maintenance, library programs and sidewalks. If the local option levy passes, residents would see a $1.18 per $1,000 of assessed valuation added to property taxes. That would add more than the 3 percent annual increase to property taxes that local governments can automatically impose annually under state law. "If (the levy is) approved, the reduction in large part (will be) avoided," Wine said. However, if it doesn't pass, police services will be one of the departments hit hard with a proposed $598,000 in reductions that include moving three of four school resource officers back to patrol duty with the city's focus being on handling high-priority 911 calls. In addition, the department's traffic safety unit, narcotics unit, some community engagement actives, peer court and vacant police officer positions won't be filled under the proposed budget. Toby LaFrance, the city's finance director, explained that while the city does have a solid history of being fiscally responsible, "Fiscal stability does not necessarily equal sustainable service levels." Several residents testified during the meeting in support of keeping library programs, continuing to have staff support for the city's Community Emergency Response Team (an organization designed to help extensively in the event of a local disaster) and concern over budget cuts in general. At the same time, some audience members asked questions about the need for such a levy, why growth doesn't pay for itself and why parks are on the list for cuts if residents pay a parks and recreation fee. LaFrance said much of the city's recent growth has been residential, which doesn't pay for itself, saying more commercial/industrial would be needed to more effectively pay for that growth. He pointed out that while two-thirds of the taxes collected by the city come from residential property, only one-third come from commercial/industrial property in a city of 51,000 residents. LaFrance also explained that the parks fee on utility bills only pays for 30 percent of park operations with the remainder still coming from the general fund. Still, Wine said that while pension and personnel costs grew at a rate greater than 3 percent, the city doesn't have many employees covered under the Public Employees Retirement System, better known as PERS. (The New York Times recently wrote about the Oregon PERS system and the impact increased employee pension plan payments are having on local governments throughout the state.) Wine said, of the city's 300 employees, only 72 are covered under PERS. • $388,000 reduction in library services. This would result in reduction of children and adult programs the library offers. In the second year it would mean closing the library on Sundays and Mondays. • $924,000 reduction in park maintenance. In the 2019-20 fiscal year, that would result in brown parks and recreation fields because irrigation would be eliminated. Elimination of recreation programs such as the annual Egg Hunt, Movies in the Park and the Concert in the Park would also occur by 2020. • $341,000 reduction in community development resulting in no longer enforcing community development, housing or nuisance codes. • $652,000 reduction in human resources, central services, facilities, information technology, finance and city administration services. That would mean half of the city's social service and community grant funding would be reduced in the upcoming fiscal year. 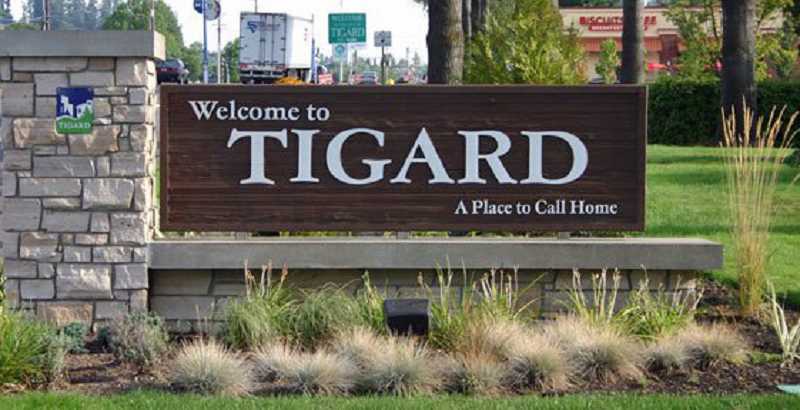 Although the next Budget Committee is scheduled for Monday, May 7, Tigard City Council President Jason Snider questioned the need for the meeting given so many unknowns. "I feel like I can't move forward mentally without the resuts of the levy," he said. The Times' editorial board has endorsed approval of the levy.